Head of the Unit "eInfrastructure & Science Cloud"
Dr. Augusto Burgueño Arjona is currently Head of the Unit "eInfrastructure & Science Cloud" at European Commission's Directorate General for Communications Networks, Content and Technology. His unit coordinates the implementation of the European Open Science Cloud through the support of European research eInfrastructures such as Géant, EUDAT, OpenAIRE, the European Grid Initiatiave (EGI) and the Research Data Alliance (RDA). 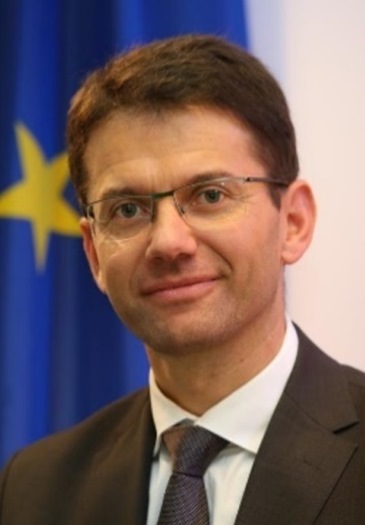 Previously he served as Head of Unit for “Finance” in the same directorate-general and as Head of the inter-Directorate General Task Force IT Planning Office at European Commission. He has a PhD degree in Formal Methods in Computer Science from Ecole Nationale Supérieure de l'Aéronautique et de l'Espace (Toulouse, France), an MBA from Rotterdam School of Management (Rotterdam, The Netherlands) and master degrees in Artificial Intelligence and Software Engineering from University of London (UK) and Universidad Politécnica de Madrid (Spain), respectively.